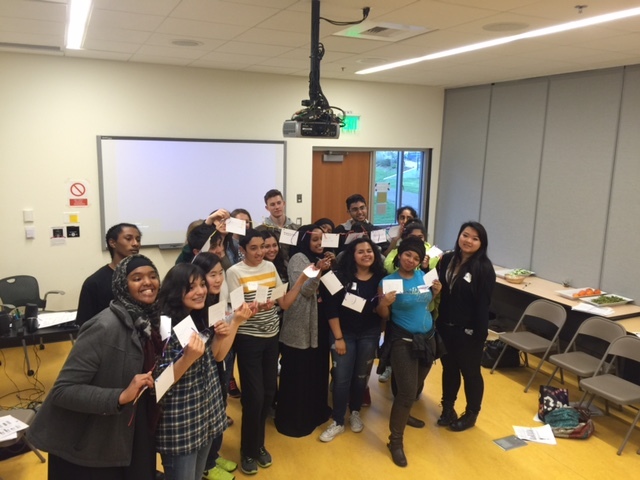 Our FEEST interns and students from Overlake High Students came together for a couple of days of Food, Empowerment, Education and Sustainability. As a group, we had some important discussions on the food system, how oppression plays a role in it and how food justice connects to our world. On Monday, we invited Overlake students to join us at our office. In the true spirit of FEEST, we welcomed them with some great food, great introduction activities and our Community Agreements. During our meeting, we discussed a lot of food justice topics, but the most interesting activity we played was the Spectrum Line Up. 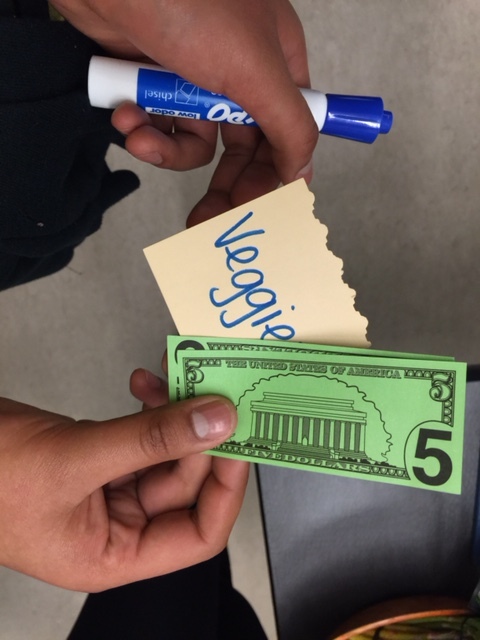 In this activity, one end of the room was if you “totally agreed”, the middle was “kinda, sorta” and the other end of the room was “do not agree at all”. We were given statements like, “People working in the food industry (production to disposal) get paid the wages they deserve”, “Big food corporations are concerned about peoples health and well being” or “All neighborhoods have access to the same quality of foods” We lined up according to our beliefs about those statements. What was fascinating was watching the spectrum start to spread itself throughout the room, students from Redmond, Washington only a mere 23 miles from our students in White Center, Washington had a different perspective on food, how it is accessed or what they knew to be true in our lives. It was a powerful activity that allows both sides to look at security in the face and open a discussion about it. The FEEST interns were also able to give Overlake students a review of their past BUSY year. We talked to them more about our work with the King County Comprehensive Plan, our visit to Olympia for Youth Action Day, the School Food Extravaganza and our work around food deserts. Before we ended our meeting, we were asked what dreams we had for food justice and to put in on an index card. We tied them together and wrapped ourselves around it. It was a great way to end the day with a light and hope for change in our food system. 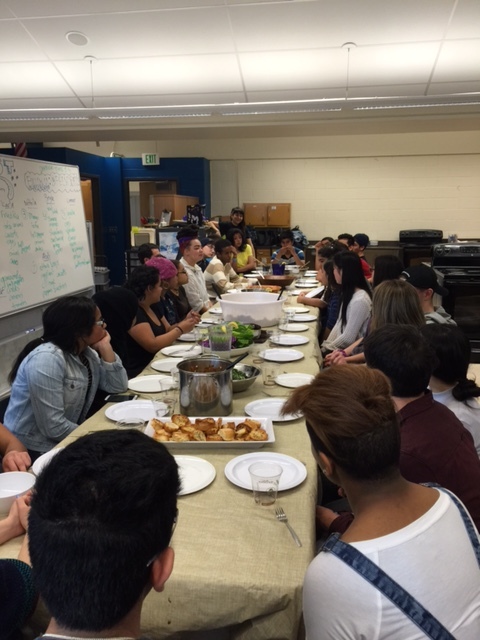 On Tuesday, the Overlake students joined us at our Chief Sealth dinner, filling our room to the brim with nearly 40 students! 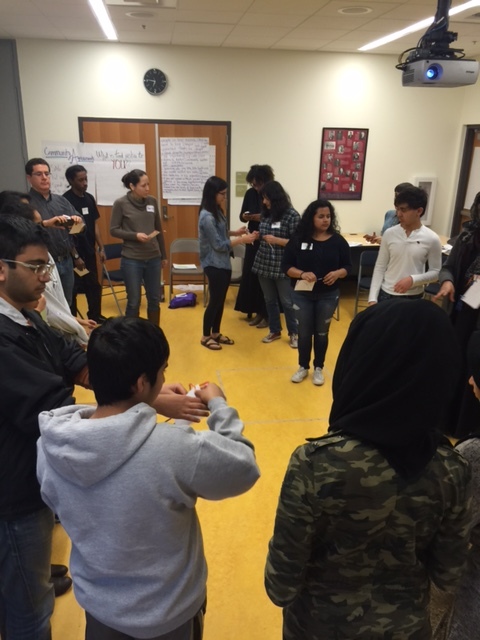 Chief Sealth students, FEEST interns, Overlake students, our extended community members all in one room! We played a really cool activity, invented by FEEST intern, Mahala, which showed where fresh produce was available in our community. Dinner was delicious (as per usual) with a giant fried rice, fruit salad, quiche, lettuce tacos, a mango, tofu, curry noodle dish, whole wheat pasta with marinara and garlic bread. Needless to say, we ate very well with our new friends and community members. We’d like to thank Overlake for joining us and invite you to come back and FEEST with us again!